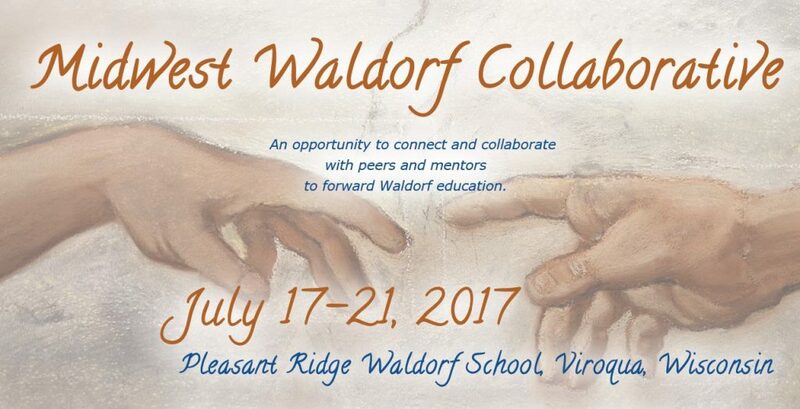 It is the middle of July and there is a lot of activity at Pleasant Ridge Waldorf School. Normally at this time of year, in the heart of our summer break, the school is closed and only a few administrative staff remains on hand to answer questions, welcome any new people and prepare for the coming school year. 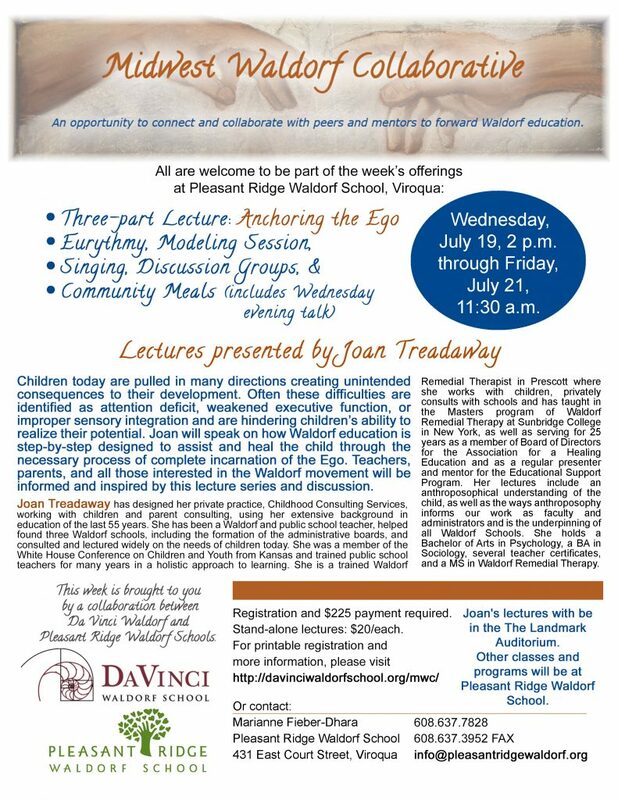 This year, PRWS has teamed up with our neighboring Waldorf School from northern Illinois, DaVinici Waldorf School to collaborate on a local option for summer training and study. 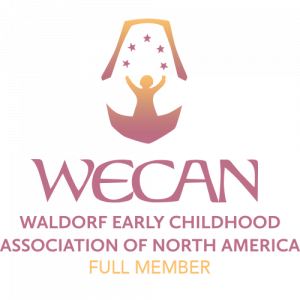 There will be Waldorf teachers coming from surrounding states to work with some master teachers, sing, study, play and share their experiences toward providing excellent Waldorf Education in their home school. There is programming for Early Childhood through Grade Eight including Music, Sculpture, Eurythmy, and Development. Joan Treadaway is the special guest bringing her wealth of experience working remedially in schools in Arizona. Joan will be giving public lectures (see below) to which members of the community are invited – you needn’t be a Waldorf teacher or a teacher at all. It is a terrific way for teachers in Midwest schools to work together to create a local summer training option. Please click here to see the entire program as well as the details for the public lectures. As of yesterday, the public lectures below have been moved to the Old Main Building. Please join us! Let the Games Begin – Grade Five heads to the Pentathlon!